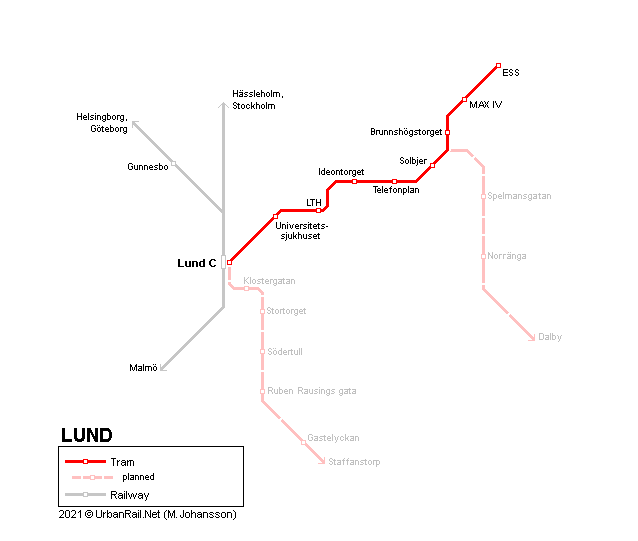 Lund - 83.000 inh., in the south of Sweden, near Malmö. 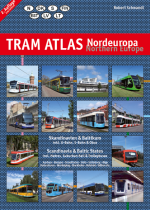 - 5.5 km (9 stops) from the main railway station to the European Spallation Source (ESS) complex in the northeast of the city. - further extensions are planned to Staffanstorp and Dalby. 2017 © UrbanRail.Net by Robert Schwandl.